This was a very well attended event organised by 3CVCCC as the holders of the trophy, with I believe 12 teams taking part. 1020 were represented by two teams, each of six players. 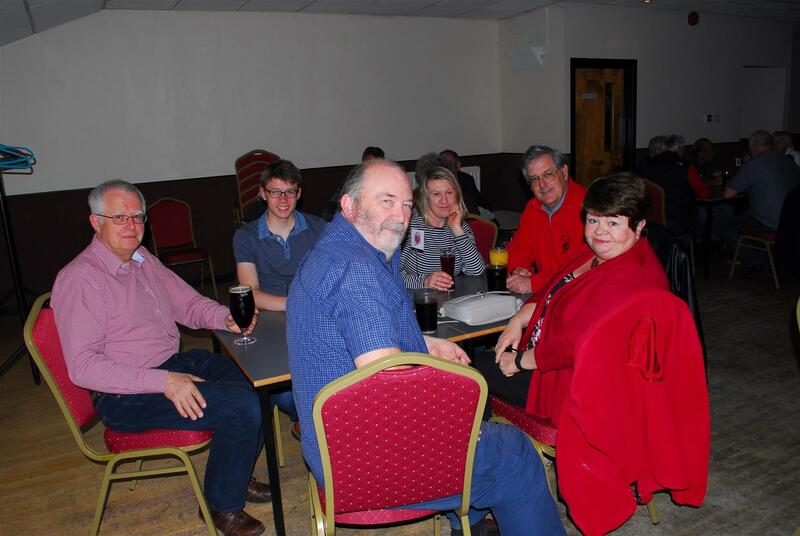 Our "A" team were George & Sue Parrott, Tony & Sue Cheyney and Pip & Ursula Bonner, our "B" team players were Adrian & Rita Mullins, Stefan & Peter Morawiec and Les & Jackie Cherrett. The choice of "A" or "B" team was decided by time of arrival in the room and choice of where to sit, not by any preconceived idea of prowess. The winners of the 2016 quiz were DHMC, who originally proposed the idea of the quiz and provided the trophy. The 1020 "B" team were runners up and the 1020 "A" team were in 3rd place. Well done to both our teams for representing us so well. DHMC as winners of the quiz will be responsible for hosting and organising the quiz in 2017 and we congratulate them on their success this year.